We’re big fans of data here at Infinite Discs. We enjoy looking at sales trends and comparing what is moving in the disc golf market. One of the best ways to evaluate which discs are most loved by players is to look at which discs sell the most, because honestly, people purchase discs that they use and love. Sometimes the sales figures get a bump from special editions or new releases. 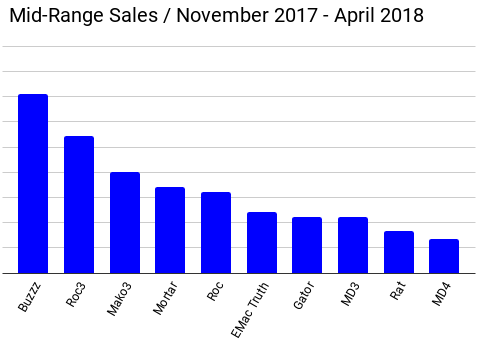 But as the sales figures are measured over the long-term, we can see which discs enjoy momentary spikes, and which ones are always near the top. Keep in mind that these sales figures are from Infinite Discs, and as one of the largest online disc retailers, we feel that they reflect the tastes of the most avid disc golfers. But they do not represent the entire market. If a brand has their own retail store, it is likely that they draw some of those avid fans directly to their own store and that would have some effect on our totals. We also don’t know about sales trends at big box stores which cater to casual or new players. 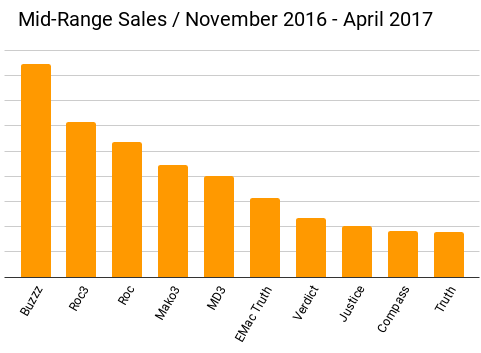 The Buzzz is always riding at or near the top position when it comes to sales, with the Roc3 and Mako3 coming close behind. Other consistently charting mid-range discs are the Roc, the Emac Truth, and the MD3. There are other popular mid-range discs that sell more in waves, depending on special editions, pro support stamps, etc. We’re going to take a look at four charts, each representing a different period. We’ll start with the most recent and go backward to see which mid-range discs have had momentary spikes, and which ones have held strong for the long term. 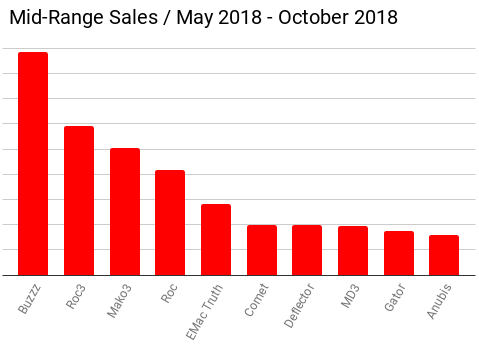 This more recent data (red chart) shows that the Discraft Buzzz has a strong lead as the number one, best-selling mid-range disc. The Roc3 and Mako3 by Innova are also consistent contenders. The MVP Deflector has a strong showing on this chart because it was a new release during this 6-month sales period, and it really was the overstable mid-range that MVP fans had been waiting for. The Anubis by Infinite Discs was also a new release during this period, so it made a strong showing in the 10th position. Going back six months to late 2017 and early 2018 (blue chart), we can see the that top three were strong in that period as well. The Buzzz, Roc3, and Mako3 sold well, with the HyzerBomb Mortar coming in a strong 4th as it had a much anticipated restock run and fans were able to get their hands on it again. The Emac Truth holds a steady position in the middle of the pack as it did in the more recent chart. The Innova Rat came out as a new release and jumped in at the #9 spot. 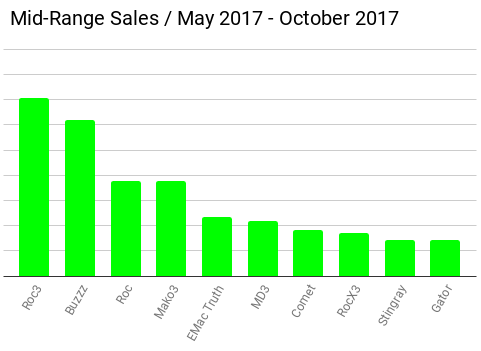 Now let’s go back a full year to summer and fall of 2017 (green chart) and we can see that the Roc3 had outsold the Buzzz during that period. Again, the Emac Truth was holding strongly in the middle of the pack. The Discraft Comet made a good showing. The Innova Stingray had a good showing, primarily as a popular pro signature disc that year, and the Innova RocX3 was a new disc that made a good splash. Let’s go all the way back to late 2016 and early 2017 (orange chart). 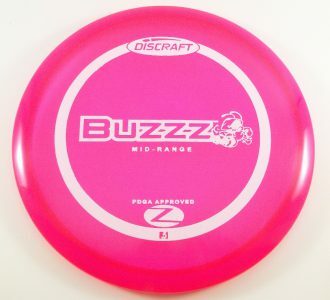 The Buzzz was still the top-seller. We can tell by the longer term track record that the Buzzz, Roc3, Mako3, and Roc have always been handing on to the top spots. The MD3 and MD4 by Discmania have popped in a couple of times. The Emac Truth has been hanging out in the middle the entire time. It is also interesting to see that two years ago, the Verdict, Justice, and Truth by Dynamic Discs joined the Emac Truth to take four spots out of the top 10, with Latitude 64 making a showing with the Compass. 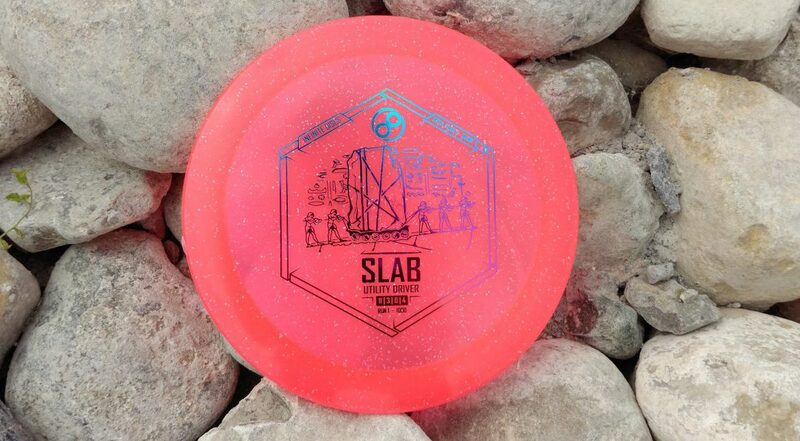 Two new discs in the Infinite Discs brand lineup were released on August 3rd, 2018. Here is a quick look at the SLAB Utility Driver and the ANUBIS mid-range. 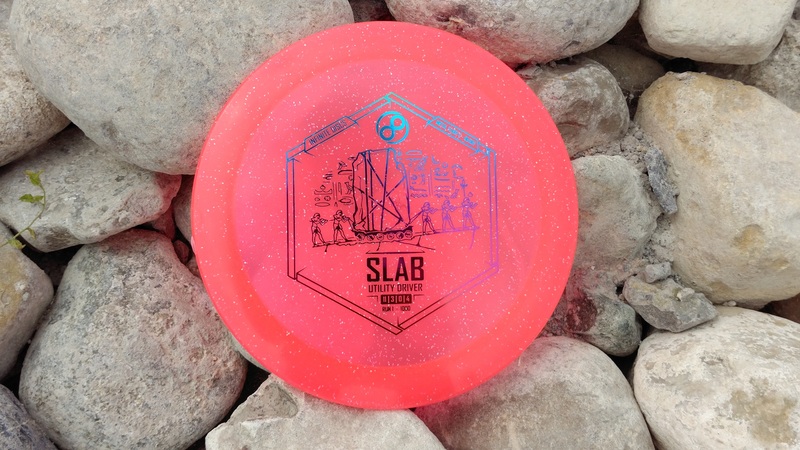 While the SLAB boast a “speed 12” rim for higher speed release and would regularly fall into the “distance driver” category, we felt like the massive overstability of the SLAB merited a categorization of Utility Driver. Such an overstable driver also deserves a notoriously overstable plastic blend, so we launched the disc in Metal Flake C-Blend. This is a driver that you’ll love whenever you want a hard, dramatic end fade. It will work wonders when thrown into headwinds and is a must-have for high, spike-hyzer throws. We tried to make sure that this first run of Slab discs would come out with a very flat top so that it would feel comfortable when used to slice through the air either with a powerful backhand or forehand release. 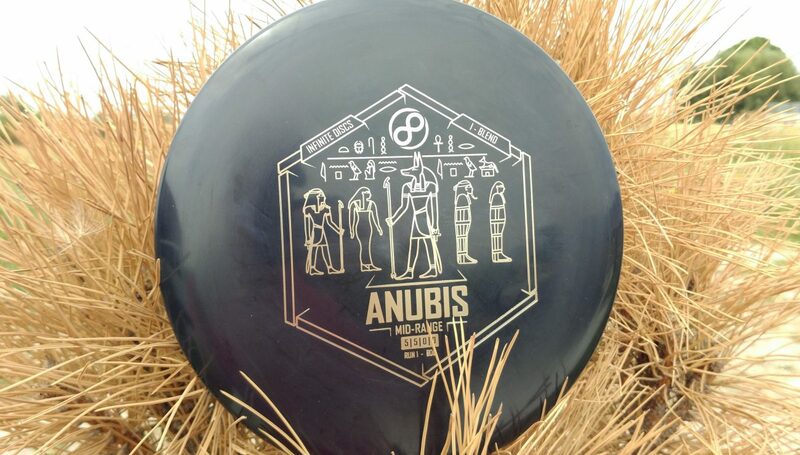 On the opposite side of the spectrum from the Slab, the ANUBIS was designed to be a user-friendly mid-range disc that is flexible and easy to control for players at any level. You can direct the Anubis with the angle of release and throwing speed to follow about any path you put it on. 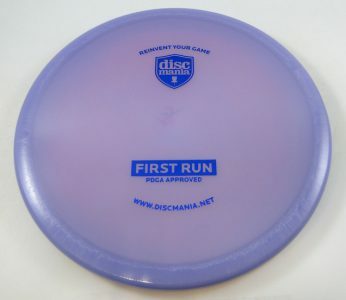 We felt that the perfect introduction to this great disc would be in affordable yet long-lasting I-Blend plastic. Try out the Anubis in lighter weights for beginners or for young players, or in the heavier, max weight for experience players who want an obedient mid-range for precision approaches.